I just love the detail of this vintage floral fabric! I cannot get enough of my "Mabel Midi" I've worn it 3 times this week! 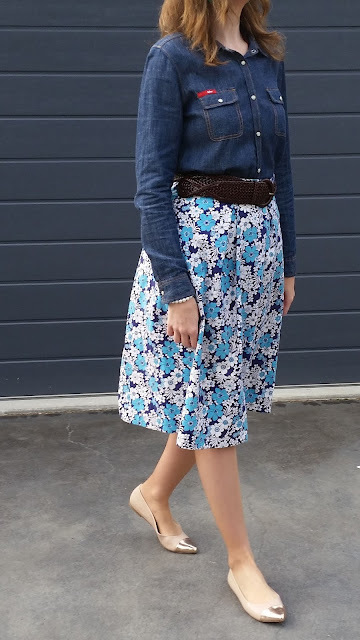 If you missed last Monday's post on how this skirt came to be - check it out here. 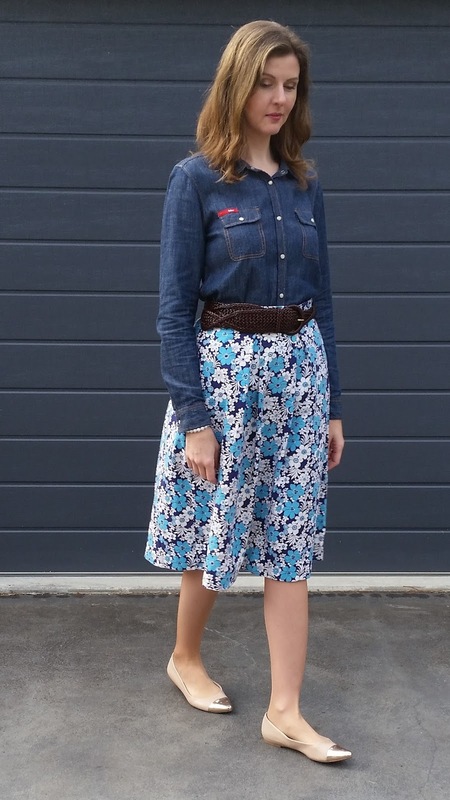 Today I've styled it with some casual flats and my favourite Chambray shirt (more about the shirt here). I think the belt ties the outfit together well while keeping it casual. I am so in love with this skirt! I'm sure I'll be sharing many more "Mabel Midi" looks! Do you have an item of clothing you love to style in different ways? Great look! I am loving those shoes! Thanks Elle! I got them on sale at Target! I can see why you keep wearing the skirt. The length, print and style are all fabulous. Love the shoes and belt in this look. 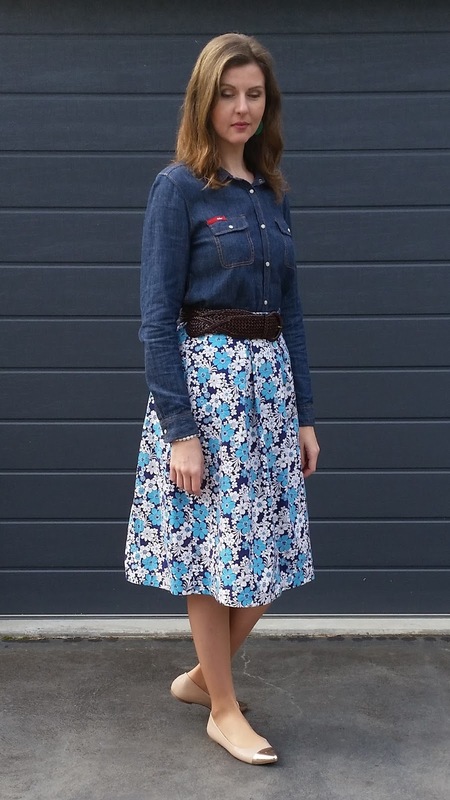 I also love to style my blue midi skirt in different ways by switching up belts, tops and shoes. 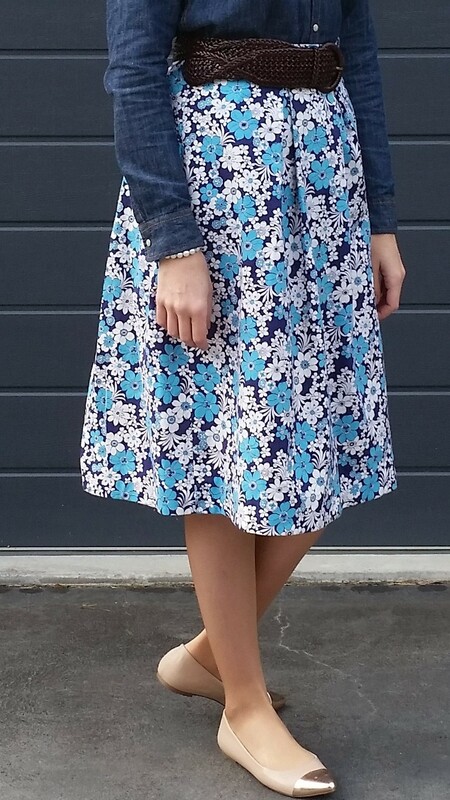 I Made It Monday - "Mabel Midi"